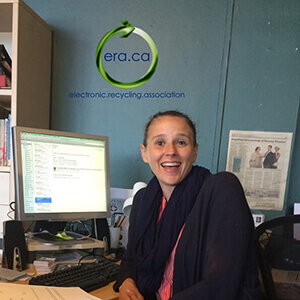 "We are proud to be able to assist ERA in advancing their mandate"
Closing the loop on issues such as waste diversion, maintaining data integrity, community giving and improving environmental awareness are key to both our organizations and we are proud to be able to assist ERA in advancing their mandate. I just wanted to send you a quick note to let you know how much we've appreciated your great service for the past several years. Your office staff and on-site guys are a pleasure to deal with. The on-site shredding service provided by the ERA went off without a hitch, The techs were friendly, knowledgeable and patient. We have been using ERA services for the last 5 years and the service and staff are excellent, courteous, and reliable! We would highly recommend them for an electronic recycling a comapny might want or need. "valuable service to the community"
I have been dealing with The Electronic Recycling Association (ERA) for almost as long as I have been working in the Desktop and Workspace Department. Over the last 7 years I have had an excellent relationship with this company. 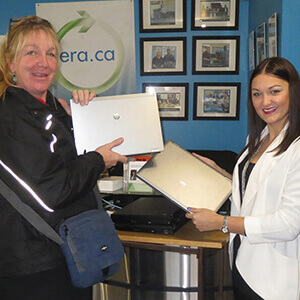 Their service keeps continuing to improve and supply the kind of support I require to keep things moving in my storeroom.ERA provides a valuable service to the community and environment. Any company would benefit working with ERA. "we are pleased with the performance of the ERA"
Thank you very much for assisting with this again! Until next time! "Best one we’ve used to date!" We really like the service and company. We were very please with your services and do plan to use your services again very soon. Good comments everywhere. We’re very happy with your services. Thank you so much for your quick response. I really appreciate your excellent customer service. "They were here and gone." Very professional, great guys! Thanks for all your help with this. Thank you for your update on the donations – great work. "Your drivers are the best"
Thanks for offering such a great service. The pick up went perfect. The guys were great, thank you. "Amazing service as usual :)! " Awesome! Thank you so much for you help. Have a great weekend my friend. I am following all of your good work on LinkedIn!!! Great Job!!!! "Thank again for fitting us in." Everything went well with the pickup, your drivers were very friendly and helpful. We have used ERA many times and I have been very happy with the service. "I'd Give Your Service 5/5 Stars!" ERA arrived today and got our equipment packed up and taken away quite quickly. Everything was taken care of to our satisfaction. 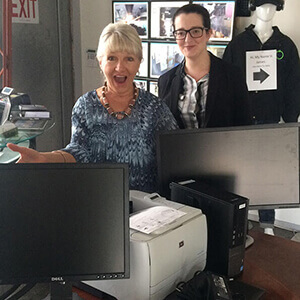 I just wanted to follow up and thank your team for all their help with recycling our old monitors. I'd give your service 5/5 stars! 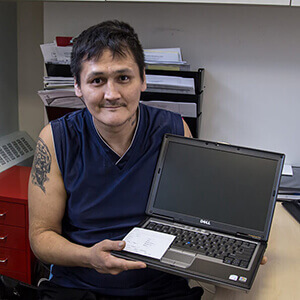 "A Laptop is a HUGE Gift"
Thanks so much for this donation, a laptop is a HUGE gift, we are feeling very grateful. "Your Team went Above and Beyond"
I wanted to pass on my thanks to both you and the pickup team for the fantastic service we have experienced. The team that came to Langley this week were excellent, quick, professional and very helpful. I was also really pleased that you were able to fit us in in such short notice. Your team went above and beyond our expectations! 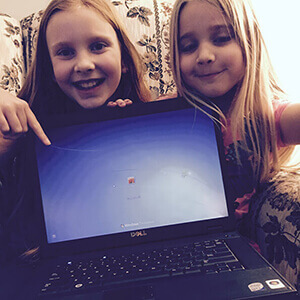 We were more than pleased with the laptop and we can certainly work with the version of Windows that is on it. Thanks again for everything. 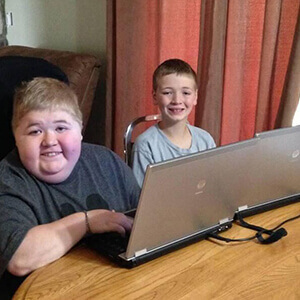 The laptop is working great and we are happy, happy, happy! I just wanted to comment on the excellent service we received from ERA here in Winnipeg! They arrived on time, were prompt, courteous, and very professional! We received our donation. THANK YOU so much! 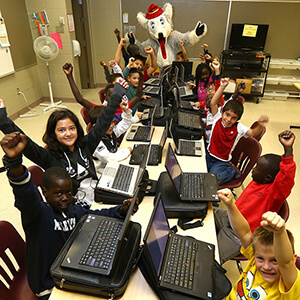 We work closely with many schools and organizations in the community as well as many families! 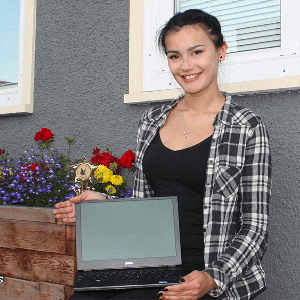 We are going to find the best home for this laptop! Thank you so much for thinking of us and for your continued support. 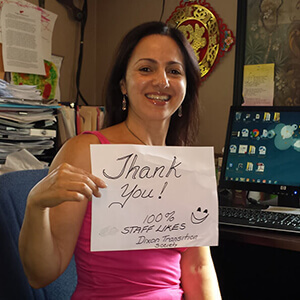 Hi guys – I just wanted to say thank you so much to you and your team, the guys were awesome and did a great job. They were fast and very professional! I look forward to our next pickup. 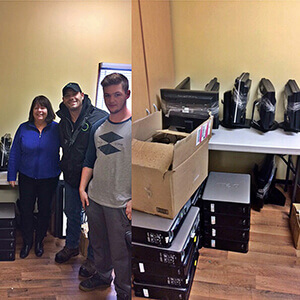 Hi guys – Your team came and grabbed our electronics today. Very quick and sufficient - good service. 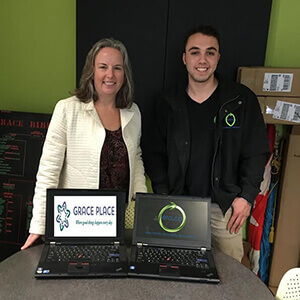 "We Cannot Express How Grateful We Are"
For over two (2) years, [we have] been the recipient of many ERA recycled computers. We cannot express how grateful we are for this generous donation. As a result of this partnership, new Canadians are provided with the chance to connect with our city and community, and most importantly, explore employment and educational opportunities. 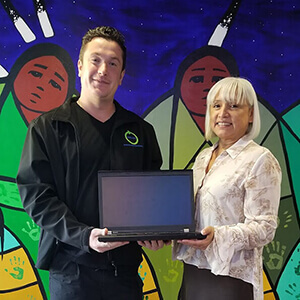 "Thank You For Your Most Generous Gifts"
Sunrise was honoured to be chosen as the recipients of 5 laptops from the Electronic Recycling Association. Every year we see families who would never dream of being able to own such an extravagant piece of technology. So on behalf of our clients we would like to thank you for your most generous gifts. 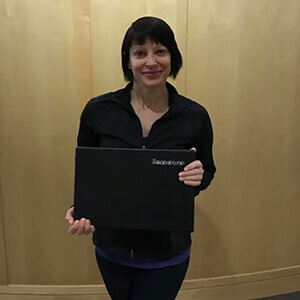 "Your Support Makes A True Difference"
Thank you very much for your generous donation of 4 Think Pad Laptops! Your amazing support is making a true difference in the lives of the women and children touched by domestic violence whom we serve. 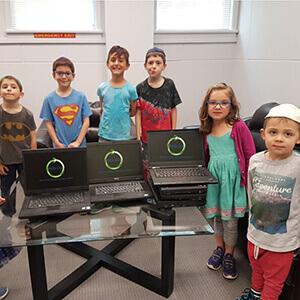 "Thank You For Your Generous Support"
I would like to express my sincere thank you for your recent generation donation of 5 complete desktop units...Thank you again for your generous support and commitment to helping us create a life without limits! 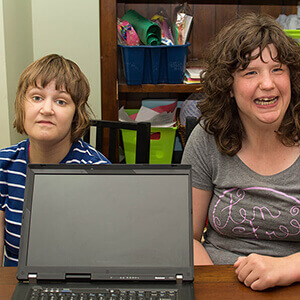 "Their Desire To Help Others Is Astounding"
Through ERA's assistance our clients were able to move towards a future they have always dreamed of. We feel very fortunate to have connected with ERA as their desire to help others is astounding. "We Cannot Thank You Enough"
Thank you for your support by providing the computer equipment which we very much needed...Because of you we can continue to provide [our] programs at no cost. For that, we cannot thank you enough. 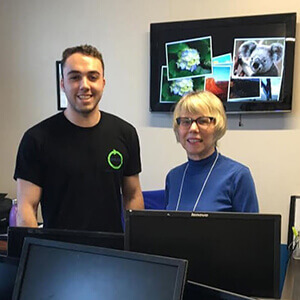 With the one time savings realized while using Electronic Recycling Association’s (ERA) hard drive shredding service, I was able to reinvest those savings (over $10,000) back into my IT department. I look forward to expanding our business with ERA for further cost savings, all while significantly reducing environmental impact – that’s a huge win for everyone involved. I will be recommending ERA to my peers throughout the province. Hi guys – I just wanted to send you a quick note to let you know how much we’ve appreciated your great service for the past several years. Your office staff and on-site guys are a pleasure to deal with! 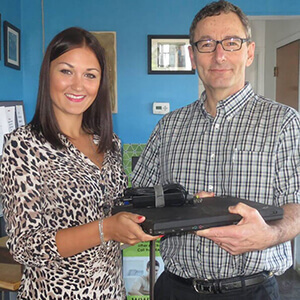 Donations of unwanted equipment help to keep unnecessary electronic waste out of the landfills. With our reuse programs, your donations are revitalized and given a new home. If the electronics absolutely cannot be reused, we will recycle it responsibility.